Hello. I am a LPN of 10 years. I just separated from the Navy in July and am looking forward to starting school again for my RN. I was a hospital corpsman (much like a medical assistant) and have kinda been out of the nursing loop for 8 years, hopefully everything will come back once I start school. 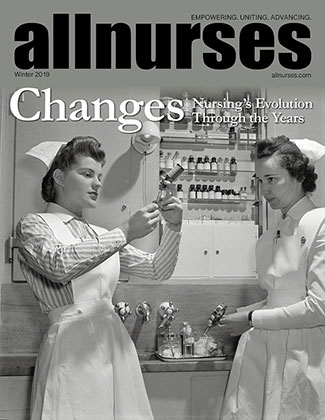 http://www.nursingschools.com/states/maine-nursing-schools-programs.html Try this link. Southern Maine Community College, University of southern maine and University of New England are all within the Portland area. Sorry to hear that you are having as hard time getting in touch with someone. It is best to be patient, but still let them know that you are interested. My husband is in the same boat that you are in. All the local hospitals are hiring nurses, but they want experienced nurses not new grads. He just graduated in May as well. How are you supposed to get any experience if they won't hire you. I don't get it. He applied to a few hospitals out of state and hopefully within the next week we will know if he has the job and if we are moving. Best of luck. Keep your head up.